Pay parity has been notoriously prevalent not just in Hollywood but Bollywood as well. Many actresses like Swara Bhasker and Priyanka Chopra have spoken out against this issue in the past. Sonam Kapoor Ahuja had also shared how her buddy comedy film Veere Di Wedding was not issued the same budget as Varun Dhawan and John Abraham's cop film Dishoom. However, Alia Bhatt, who was last seen in Meghna Gulzar's espionage thriller Raazi, holds a different view about male actors getting paid more than female actors in Bollywood. Comparing her films to Varun Dhawan's, she told DNA, "Investing money in a film is directly co-related to the people you are bringing to the theatre. I’m not delusional that the same number of viewers who go to watch Varun’s movies will come to see my work. He has a wider reach than me. That’s why I can’t expect that the same amount of money which is invested in his solo-starrers, is invested in mine, too. Also, it’s the subject that makes a film viable. We can’t be categorical about everything because every actor and movie is different." According to DNA, there had been reports of Bhatt not hiking her fee after Raazi's success at the box office. When asked about the same, the actor said that she will not refuse a film because of the remuneration. She added that the emotional attachment to a film is much higher than the monetary reward. Bhatt has a couple of future projects lined up that she has already started shooting for. 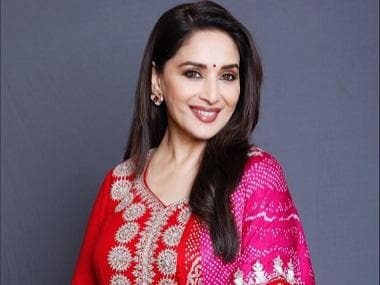 She will be seen in Ayan Mukerji's Brahmastra and the multi-starrer Kalank. Her film Gully Boy opposite Ranveer Singh is scheduled to release on 14 February, 2019.